Are You Applying for a Forklift Licence in Parramatta, NSW? - Be Certified Today! You must have arrived in this article because you are planning to apply for a forklift licence in Parramatta. There are two types of licences you can apply for: TLILIC 2001 licence (LF) allows you to operate a Forklift Truck and the TLILIC2002 License (LO) allows you operate an Order Picking Forklift Truck. Which one should you get? That will depend on the type of truck you want to operate. LF class licence is needed to operate counterbalance forklift, reach truck, side loading forklift, all-terrain, and truck-mountedforklift truck. While the LO licence is intended for order picker type of truck and turret truck. You can apply for both if your job responsibilities involve operation of forklifts that fell into these categories. An individual who is performing a high-risk work such as operating forklift must have a relevant LO or LF license. It is illegal to operate a forklift or an order picker if you don’t have such license with you. Find a registered training organisation (RTO) where you can take the training from. Only a SafeWork-approved RTO can conduct the forklift training and assessment. We listed below the RTOs in Parramatta where you can enroll. Take the forklift theoretical and practical training. The duration of the training varies depending on your ability and skill level. If you are already experienced operating forklifts, it only takes 1 day to complete the course, however, if you are new and with no or little experience, it takes 2 days to complete the training. After you have completed the theoretical and practical training, you will undergo the assessment. The evaluator will administer written test and performance assessment. If you passed, the evaluator will issue a Notice of Satisfactory Assessment and give you an N4 application form after you have been found competent and qualified. There are requirements to apply for an HRW licence. See this detail for more info. SafeWork issues licences to perform-high-risk work such as LF and LO high-risk work licences in NSW. You have to submit the requirements and other requisites to Australia Post for processing within 60 days after the assessment. The blue Application Form for a national licence to perform high-risk work (HRW licence) given by the RTO and the New application (N4) form issued by the Safework assessor. The orange copy of your Notice of satisfactory assessment given by the Safework assessor. 100 points of evidence of identity documents (you must show the original IDs) showing your complete name, current photo, date of birth, signature and your current address. A passport size and quality photograph of yourself with your name and date of birth printed on the back. You must also bring with you the application fee. Presently, the application for HRW licence is $72.50 in NSW. For fees and charge, see this page. After lodging all the requirements, you have to wait for 30 days before you receive your photographic HRW licence. The licence is valid for 5 years. You must remember that not all RTOs are the same. Some may have different training curriculum while others may have higher training prices. Before enrolling in for a training course, you can do a little research for the RTO where you want to get the course from. Doing so enables you to get what you require from the course they offer. Ace Forklift Assessing Pty. Ltd. Fork Skills Operations Pty Ltd. Always make the right choice for your profession. 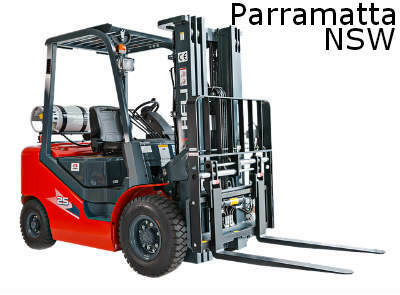 Get a forklift licence in Parramatta first then you will fine finding the right job for you. It only takes a small amount of time and money to be licenced. Bu the advantage of having this under your belt is beneficial. You won’t be having a hard time looking for a job if you have such credentials and qualifications. You will be given an offer higher than those without the proper training and certification. The list of benefits goes on and on and on. Go take the training and apply for a high-risk work licence. It is a good way in improving your job opportunities in Australia.